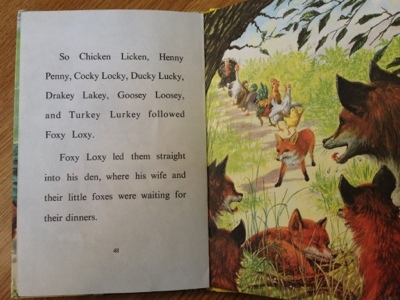 Nessa has been collecting classic Ladybird books for Danny and Rory. 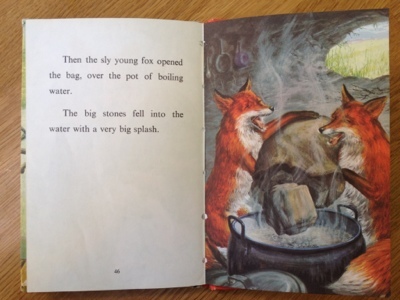 These gentle tales, with their simple, bright illustrations were real favourites from both of our childhoods, and it’s been lovely to see the kids enjoying them too. Let’s take a look. 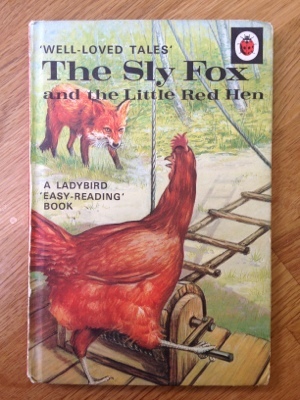 “The Sly Fox and the Little Red Hen” was first published in 1966. Brilliant. Danny’s just turned three; Rory’s nearly one; these will be perfect. Cool. Wonder how it’s going to resolve itself? 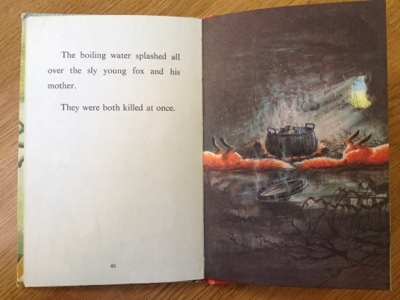 On the upside – it was a quick death. We can see this from the detailed illustration. Fur still steaming. Oh it’s OK. 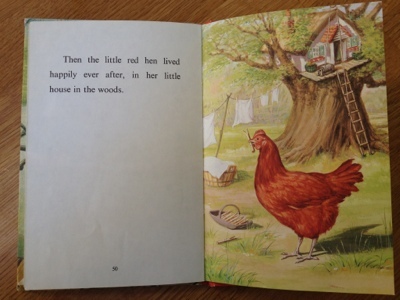 The little red hen walks away unscathed. Nature’s way has been bucked. Be about your business. Nothing to see here. 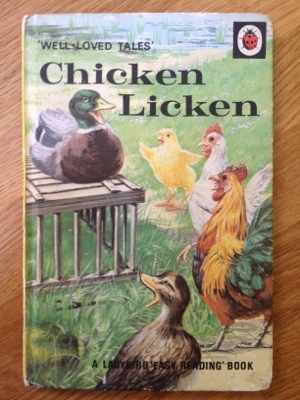 Maybe “Chicken Licken” will be different? That’s some dark, dark stuff right there. Hah! 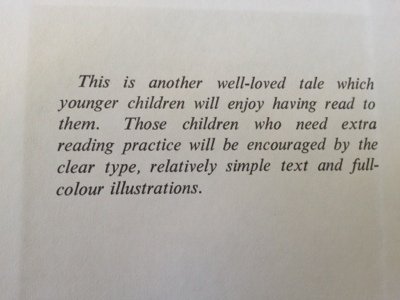 We didn’t believe in sugarcoating things back in the day. 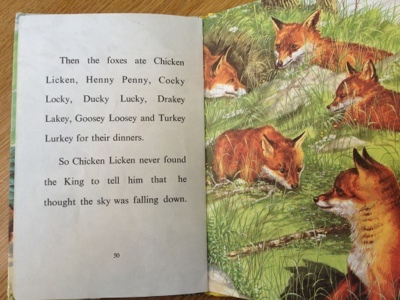 I seem to remember that ending to Chicken Licken from when I was a kid. Here I was, beliving that it was Monty Python that skewed my thinking all these years!